In our last post, we talked about cavities and the service Dr. Jeff Nichols offers to treat them—tooth-colored fillings. But sometimes a tooth is too decayed or damaged to be treated. In those cases, what you might need is a tooth extraction. 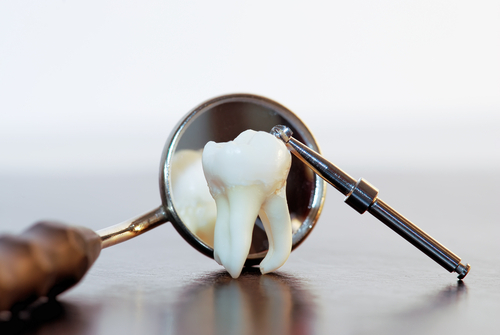 With a walk-in tooth extraction from Premier Walk-In Dental, we can relieve you of the painful symptoms of an abscess or infection, or remove a severely damaged or decayed tooth and replace it with a crown. As intimidating as a tooth extraction might sound, many extractions are simple. Thanks to local anesthetic and Dr. Nichols’ years of experience, you can look forward to a comfortable and quick procedure that gives you the important help you need. Another case in which a tooth extraction might be necessary is wisdom tooth removal. It’s advisable that patients have their wisdom teeth removed to prevent pain, impaction, misalignment, and infection. Do you need help with a tooth-extraction? Call or visit Premier Walk-In Dental in Rockledge today. We serve patients from Cocoa, Satellite Beach, Merritt Island, Viera, Suntree, Melbourne, and Palm Bay, Florida.